AUSTIN TX — A Girl & A Gun (AG & AG) is announcing a revolutionary program for women shooters that will change their lives. The Tactical Foo-Foo MasterMind Program complements the AG & AG Shooting Journal with recurring webinars and activities to help women achieve their personal and shooting goals. Performance Coach Kelley Moore will give participants the tactics to mastering disruptions, hecklers, and hijackers in their lives. One 2-hour interactive webinar every 10 days will keep participants motivated with professional support, and peers in the program will give feedback, help brainstorm new possibilities, and set up accountability structures that keep participants focused and on track. 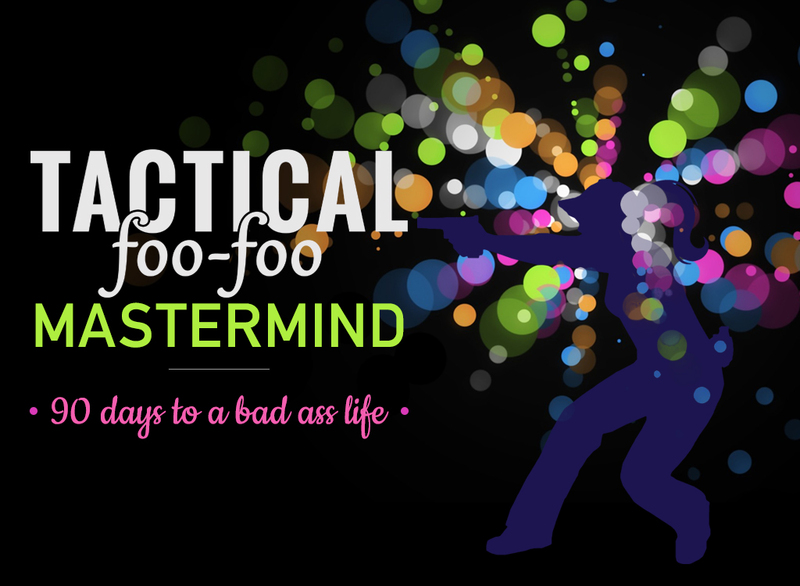 Each MasterMind group lasts three months, with participants having the option to renew and continue into the next group. The first webinar will take place on July 11, 2017, at 7pm Central Time. The University of Illinois calls Kelley Moore a “powerful relationship strategist;” she calls herself a “Marine in Mom’s clothes.” A United States Marine Corps veteran, Kelly is a professional Courage and Performance Coach. Jack Canfield (one of the creators of Chicken Soup for the Soul) deemed her “America’s Courage Coach.” She provides people with the intel needed to recognize, understand, and appreciate human behaviors, communication styles, and emotions. Her specialty is supporting emerging leaders as they acquire the knowledge, skills, and wisdom that enables them to be more productive, self-directed, and passionate in their personal and professional lives. A Girl & A Gun (AG & AG) is a membership organization whose events have been successful stepping stones for thousands of women into the shooting community and fostered their love of shooting with caring and qualified instructors to coach them. AG & AG breaks barriers for women and girls in the area of self-defense and in pistol, rifle, and shotgun shooting sports by welcoming beginners to learn the basics of safe and accurate shooting and providing experienced shooters with advanced-level training. Learn more at AGirlandAGun.org. This entry was posted on Sunday, July 2nd, 2017 at 23:48	and is filed under Press Release, Training. You can follow any responses to this entry through the RSS 2.0 feed. Both comments and pings are currently closed.